Manual Choke carb kit 17.5 Intake 35mm K&N style air filter for added air flow with jetted carb 80-95 main jet and 45 pilot for top performance from your Yamaha Zuma 50 or 70cc upgrade. For exhaust and 70cc upgrades even better for total top end performance. 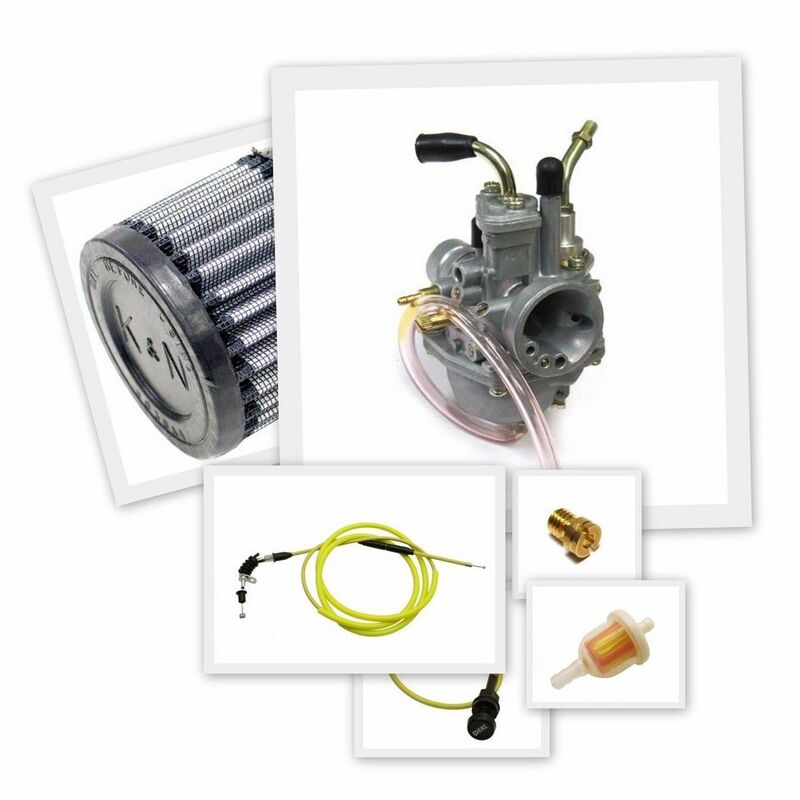 New cables are included for throttle and choke, K&N style Air filter for the best air flow.